Experimentation can yield some fantastic results. And it was regular experiments behind the family-owned bar on the tiny Fishers Island in New York that birthed Fishers Island Lemonade. It's made using a 9% ABV mixture of whiskey, vodka, natural juice, and flavors and was previously only available to island guests through a popular mixture concocted each day by staff. 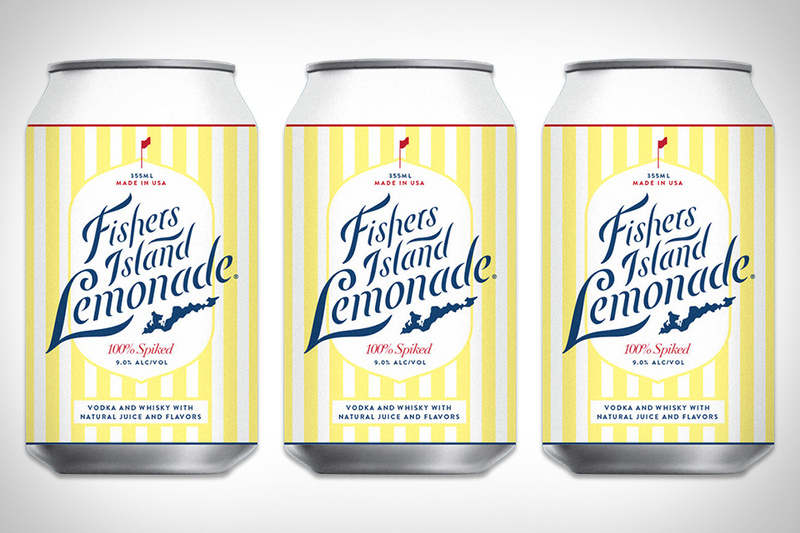 But now, Fishers Island Lemonade is available in cans, giving a much wider audience to what is certain to become a summer staple. Make yourself a drink and chill it at the same time with Herb & Lou's Infused Ice Cubes. These pre-mixed ice cubes contain all the ingredients you need to make a tasty cocktail. Just freeze them, and when it's time for a drink, add one cube for every shot of liquor you're having. Our favorite is the Cooper, a blood orange and ginger old-fashioned meant for use with bourbon. There are also two mixes that go great with vodka or tequila — the Clyde, which blends peach flavors with herbs and bitters, and Cecile, ideal for sunny days with its mix of cucumber, watermelon, clover, honey, and thyme. Available in packs of 12 individually wrapped cubes. In addition to distilling premium Cognac since its inception back in 1863, the Maison Hardy name is just as identifiable by its creative and unique bottle designs. The latest in the line is Hardy Noces D'or Sublime, featuring a bottle designed for the Year of the Rooster which is also the Hardy family's coat of arms. The bottle arrives in a plaque designed in the French Art Nouveau style that has been cut, etched, and polished by hand. And the spirit itself is even more impressive, created from forty different 100% Grande Champagne Cognacs that are aged a minimum of 50 years. The Teforia Leaf crafts the perfect cup of tea at the touch of a button. With the expertise of a tea master, it draws out the flavors of each tea varietal while eliminating bitterness and astringency. Pair it with Teforia's Perfect Cup tea subscription service featuring smart loose leaf tea containers filled with high-quality, rare, freshly harvested teas for remarkable results. 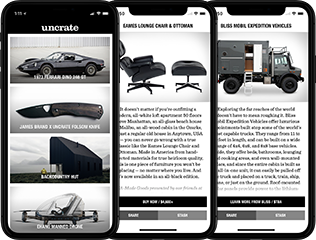 The complementary app logs your tea experiences and offers in-depth tea knowledge. From First Flush Darjeeling to vibrant Sencha, the gourmet tea experience has never been so easy. A Moscow Mule is far from the toughest cocktail to make, but it can be a challenge if you're on-the-go. This canned Moscow Mule from Salt Point allows you to take your favorite cocktail wherever you go with a blend of spicy ginger, lime, and American vodka. You can serve it over ice in a traditional copper mug, or just sip it cold straight from the can. So if beer isn't your summer go-to, load up some cans of this in the cooler and enjoy this refreshing, pre-mixed cocktail poolside. Three guys that grew up together and call themselves jerks are the force behind the growing craft soda company Cannonbourough Soda. All of their sodas are crafted and carbonated in Charleston, South Carolina using a combo of fresh pressed juices, hand picked herbs, and fruits at the peak of their ripeness. They use only natural sweeteners and no artificial preservatives whatsoever. Every soda is force carbonated in small batches and each one pairs perfectly in a wide variety of cocktails. The classic 40-ounce glass bottle isn't just for malt liquor anymore. Forty Ounce Rosé Wine is on the market now, produced by a legit organic winemaker in the Loire region of France. More than just a gimmick, it arrives just in time for Rosé season and provides almost double the amount of wine you'd get from the standard 750ml bottle. And while you might not want to wrap it in a brown paper bag for your next wine club meeting, it looks like an excellent choice for a picnic or beach trip this summer.